Entrepreneurs with one-track minds like Steven Smith don't want to hop between industries--they want to stay where their passions lie. But if you're looking to sell one business only to start a similar one, you may run into trouble. Most buyers will want you to sign a noncompete agreement dictating that you won't operate in the same or similar business for a certain period of time within a specific geographic area. 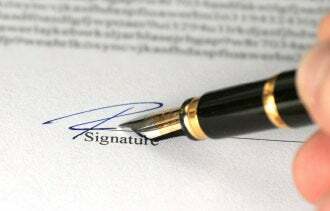 Noncompetes may also come into play when employees leave a company to work for a competitor. But signing a noncompete doesn't mean you have to start from scratch or leave your field of interest; you can negotiate terms that don't restrict you entirely. "Both sides have an interest in making it reasonable," says Thomas Brown of Kansas City, Mo.-based Brown Law Firm and author of How to Start a Business & Not Get Sued. "You have to bear in mind what it is you really want, and bear in mind what the other really needs. And that's where you negotiate." Here are a few ways sellers can carve out some wiggle room. Hire an attorney, and read up. Noncompetes are complicated documents that vary greatly depending on situation and industry, so seek legal guidance. Before going into negotiations, it may help to check out how the courts in your jurisdiction have ruled on previous cases in your industry, says Frank Natoli of New York City law firm Natoli-Lapin, which specializes in small businesses and intellectual property. Get specific. Carve out as many exceptions as you can during the negotiation process; ultimately, this benefits both parties, as a court may remove contractual language it deems invalid or strike an overbroad contract altogether. As the seller, try to limit the noncompete to cover only specific types of work or products in a way that allows you to maintain some involvement in the industry. "Specifically limit and describe the thing you're not supposed to be doing, and try to make it clear," Brown says. Also, try to limit the geographic area and time period the document covers; the latter should generally be no more than five years. Ask for a non-solicitation agreement instead. This restricts you from soliciting employees or customers of your business after you leave. "You want to limit it to only the customers you were doing business with at the time it was sold," Brown says. Alternatively, you may be able to restrict only the specific product or service you were selling at the time. "If I'm selling software to Coca-Cola for their software management, I want to limit it so I can go back and sell them inventory control," Brown adds. Consider an earn-out. You may opt for an earn-out--a provision stating that the seller will receive additional future compensation based on the business achieving certain financial goals--instead of signing a noncompete. "This way the new owner has an insurance policy," Natoli says. "There's less incentive for the seller to try to create that competition, because they'd only be undercutting their own financial gain."